When "ber"- months begin, I feel the excitement of the holiday season kick in. I immediately discuss with my Mom how we will decorate the house, but we usually end up decorating it the same way! Haha. Aside from decorations, I usually just pull out my Christmas list to check whether I need to add new people to give presents to. But this year, it's going to be different - it's going to be a sweeter Christmas. 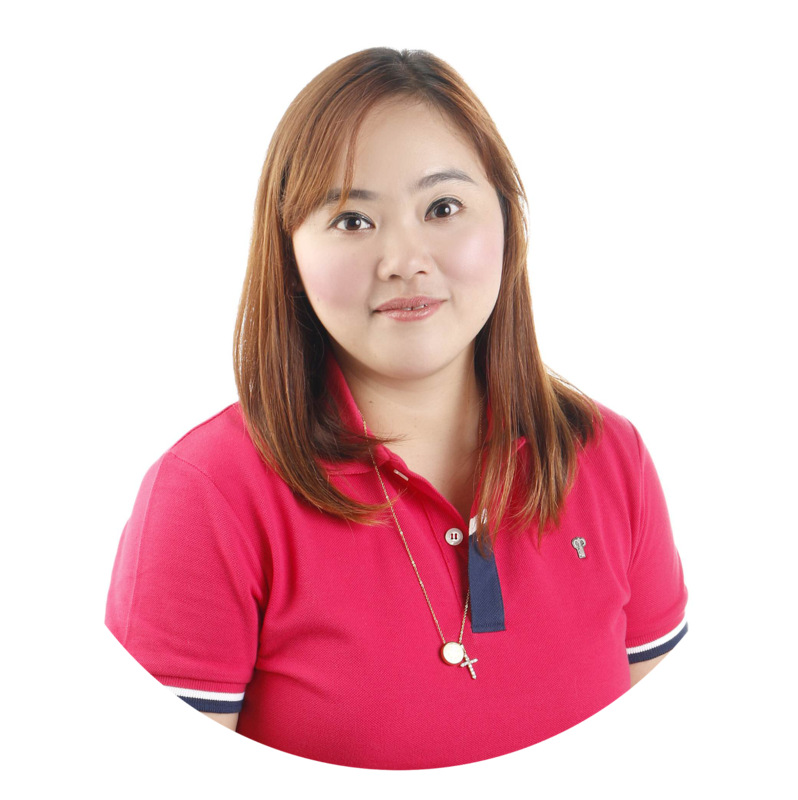 I am super glad to say that our Christmas celebration will be much sweeter this year because of a new addition to our family - I gave birth almost 2 months ago to a bouncing baby girl Chai-chai. 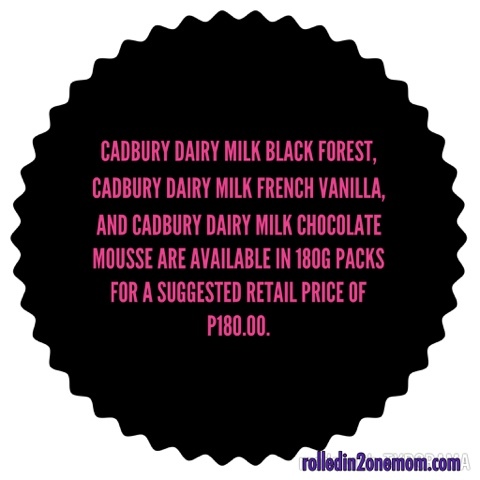 If you’re into textured sweets, Cadbury Dairy Milk Black Forest fits your taste profile. It still has the Cadbury Dairy Milk’s smooth sensation but it comes with real chocolate cookies and red jellies. It’s definitely crunchy and chewy – perfect to keep you company during the holiday traffic madness! I will share Cadbury Dairy Milk Black Forest with my son Choichoi - why? He loves chocolate cookies and I like taking him with me everywhere I go! He's 3 now and I like experiencing new adventures with my little guy. If you like surprises, Cadbury Dairy Milk French Vanilla is your perfect pair this Christmas. As you bite into this exquisite flavor, you plunge into the smooth, soft, silky center filled with light and delectable French vanilla cream. This sophisticated flavor is definitely a revelation this season. I will share Cadbury Dairy Milk French Vanilla with my 10 year old niece Sofia who is now learning to keep up with the latest trends be it fashion or social events. She is slowly showing real sophistication as a young girl. She will definitely enjoy this! Looking for a richer chocolatey taste this Christmas? Elevate your tastebuds with the delicate decadence of Cadbury Dairy Milk Chocolate Mousse. With its light and airy chocolate-flavored cream enveloped in classic milk chocolate shell, you will definitely be begging your secret Santa for more. I will happily share this flavor with my mom! Why? Just like me, my mom loves sweets, especially Cadbury Dairy Milk and the light and airy flavor of the Chocolate Mousse resembles her sweet, soft yet strong personality! I am over the moon or can I just say, my sweet tooth is ecstatic that Cadbury Dairy Milk is bringing back said flavors. Not only will they be a joy to put inside our Christmas jars but they are also ideal to pack as Christmas gifts to share with family and friends!